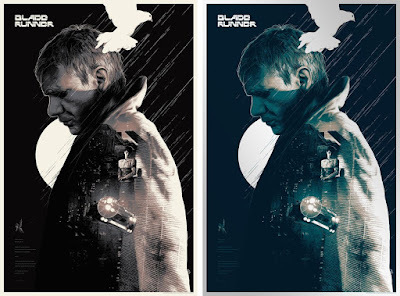 New York Comic Con 2018 may be over, but check out this epic Blade Runner movie poster screen print by Gabz that was released over the weekend by Bottleneck Gallery! Gabz has taken the movie poster screen print world by storm the past few years with amazing print after amazing print, and he killed it with this beautiful design featuring Harrison Ford’s Rick Deckard. Blade Runner by Gabz is a 24”x36” hand numbered screen print. The Regular Edition is limited to 350 pieces and retailed for $50, while the Foil Variant features metallic inks, is limited to 150 pieces and retailed for $65.